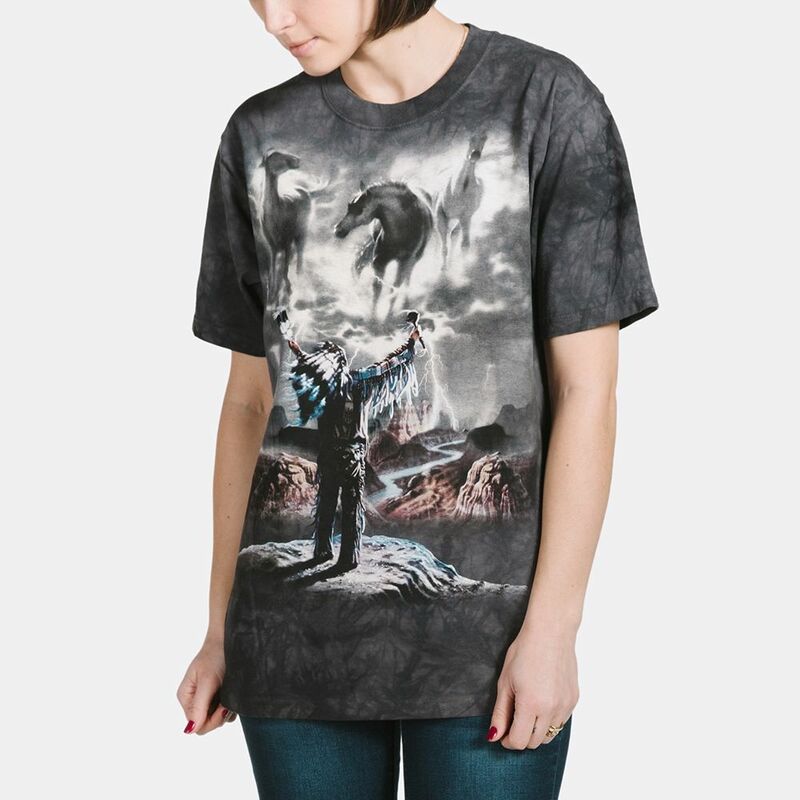 Summoning the Storm is a Native American t-shirt by UK artist David Penfound. 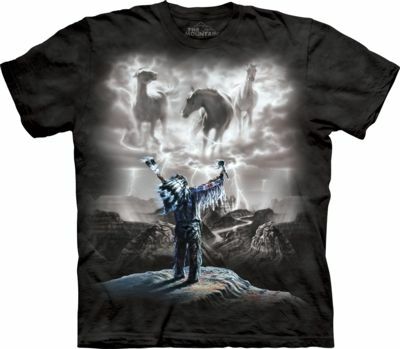 The t-shirt features an Native American Chief standing in the grand canyon summoning the storm. In the clouds above are horses and lightening. All Native American t-shirts from The Mountain® in our classic range are suitable for women and men.